Kiryu Aikido was founded in 2003 by Andrew Blevins Sensei, following many years teaching as Chief Instructor at a large dojo in Colorado. Today, the dojo has two locations: metro Denver and San Luis Obispo, California. Based on his more than 30 years of experience, Blevins Sensei has created a cohesive program that teaches this Japanese martial art in a progressive way. Kiryu Aikido teaches traditional Aikido techniques in a safe, supportive environment with a foundation of etiquette, courtesy, dedication, sincerity, and respect. With an emphasis on actively teaching ukemi (the art of falling, rolling, and protecting oneself) and integrating a weapons program with the Samurai jo, bokken, and tanto, our program helps students of all abilities progress no matter their level of experience. 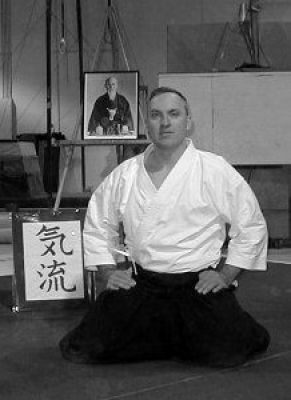 Andrew Blevins Sensei founded Kiryu Aikido in 2003 following many years as Chief Instructor at a large dojo in Colorado. His vision was to build a serious dojo practicing strong, traditional Aikido in a safe and supportive environment, which honors traditional Aikido techniques with a style that emphasizes teaching ukemi (the art of falling and protecting oneself) and weapons work as integral components of learning open-hand Aikido techniques. 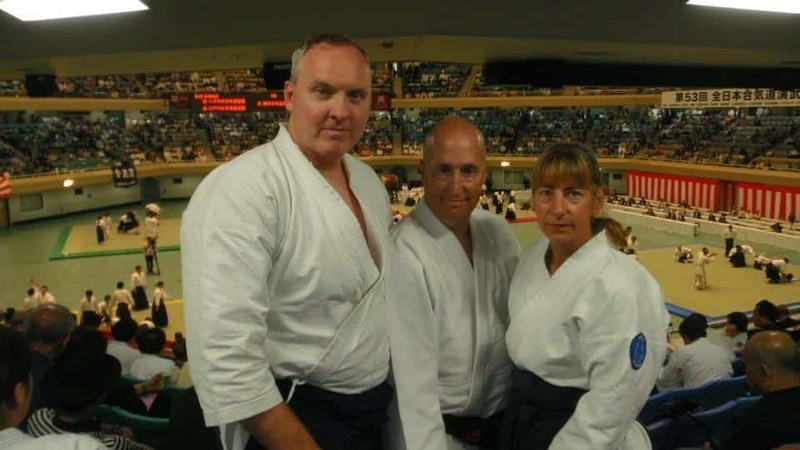 Blevins Sensei’s more than 30 years of practicing and teaching Aikido are reflected in his continuing passion to share this martial art with others and have them discover the benefits that can result from a commitment to practice. He chose the name Kiryu to symbolize the style of Aikido taught in the dojo, which has a strong foundation in Iwama-based techniques and philosophy. The Ki (the Ki from aiKIdo) is energy or power that can be received or produced from our bodies. This power can be directed to execute a large array of techniques. The Ryu is flowing or style. As we practice Aikido, we train to receive energy from our partners and flow to redirect this energy to our advantage. 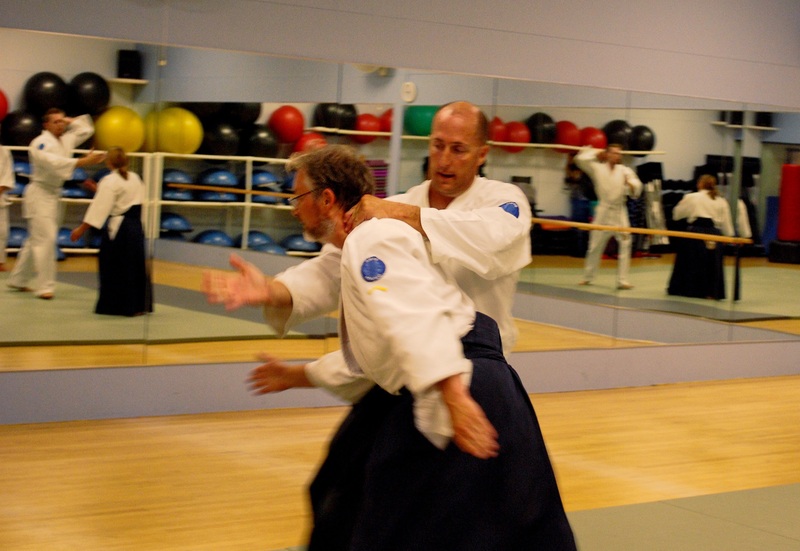 Since 2003, Kiryu Aikido – Colorado has operated in several locations in the metro Denver area. In 2013, Blevins Sensei moved to the Central Coast of California to pursue career opportunities and founded Kiryu Aikido – Central Coast. Andrew Blevins Sensei began his study of Aikido when he was 15 years old, starting with Tomiki style Aikido, and later switched to traditional Aikido. 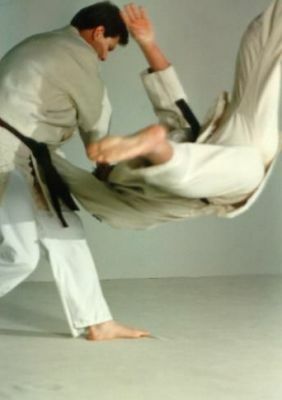 Since then, he has been training in Aikido for more than 30 years and teaching for more than two decades. ing Kiryu Aikido, he was Instructor and Chief Instructor at a large dojo in Denver. During these years, he also had the privilege of being an “otomo” (traveling assistant) for high-ranking Aikido instructors teaching in countries such as Scotland, Brazil, Czech Republic and, of course, the United States. Blevins Sensei has been to Japan nearly 20 times and has practiced at several dojos while there, including time as uchi deshi (live-in student) at Iwama Dojo with Morihiro Saito Sensei and Akita Dojo with Shigeru Kawabe Sensei, and taking classes at Hombu Dojo in Tokyo with Doshu Moriteru Ueshiba. After several years practicing other martial arts, Les Sensei began his Aikido studies in 1996 in Dillon, Colo., and he uses the tenets of Aikido in his career in law enforcement. When he moved to Douglas County in 1999, he continued studying Aikido in the Denver metro area four more years. He joined Kiryu Aikido when it was founded, and his now Senior Instructor. In addition to Aikido, he has studied the following disciplines: Shorin-Ryu Karate, Blue Belt in Gracie Jiu-Jitsu, and Level 5 Krav Maga Worldwide Instructor. He has attended classes at Hombu Dojo in Tokyo with Doshu Moriteru Ueshiba and other Hombu teachers. Kara began studying Aikido under Blevins Sensei at Kiryu Aikido in 2006, originally as an adjunct to her long-term study of horsemanship. 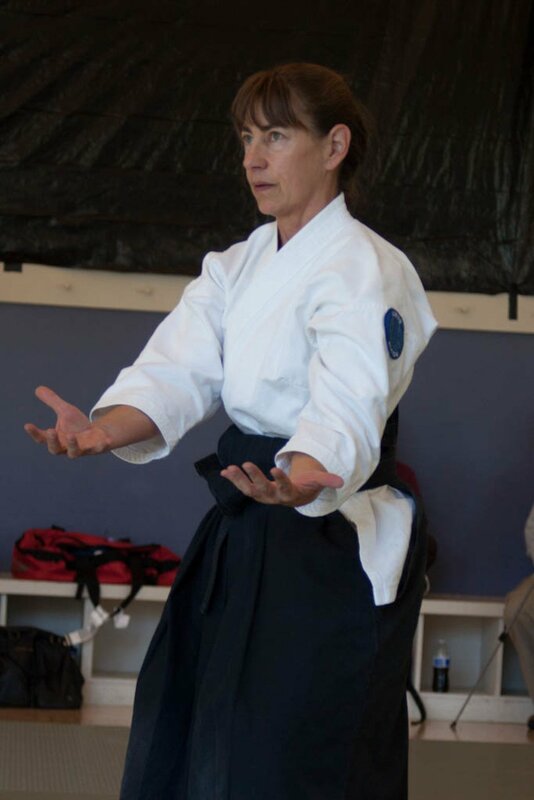 Over the years, she has been uchi deshi (live-in student) for Patricia Hendricks Shihan, has attended Aikido seminars and practiced in dojos in the US and abroad, including training at Hombu Dojo in Tokyo with Doshu Moriteru Ueshiba and other Hombu teachers. Kiryu Aikido is dedicated to the practice of serious traditional Aikido techniques. One of the dojo’s main goals is to help people achieve an understanding of different aspects of Aikido practice. 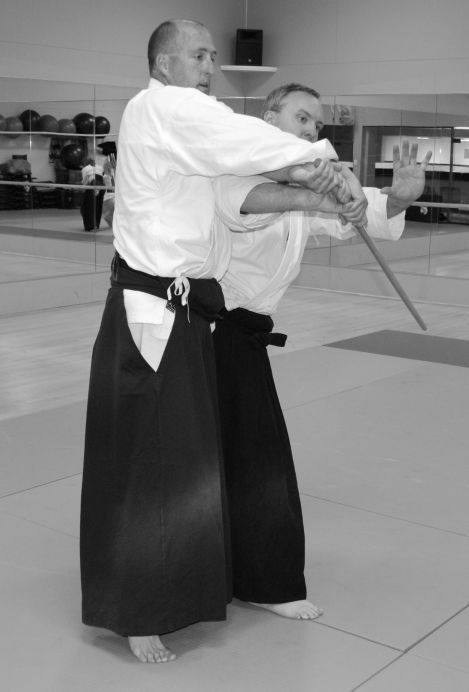 In addition to our focus on ukemi and open-hand techniques, we believe that a robust Aikido weapons program (using bokken, jo, and tanto) leads to better Aikido techniques and understanding overall. 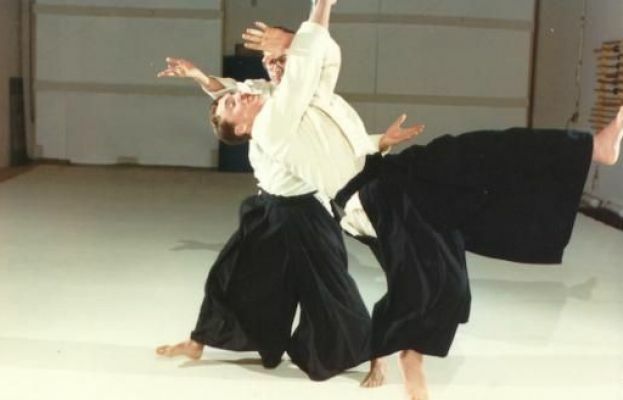 Beyond the practice of techniques, other aspects involved with learning Aikido can be enjoyed for a lifetime and can be applied to many areas of life. For example, over time, many students find that the more internal aspects of Aikido and the culture of the dojo—which upholds courtesy, etiquette, dedication, sincerity, and respect, among other things—become as important as the training itself. As a traditional dojo, Kiryu Aikido upholds and fosters these principles in each class. Our instructors and students strive to live the rest of their “off-the-mat” life with the same values as those practiced on the mat in the dojo. The tenets of being a good Aikido student and training partner can extend to all areas of life.